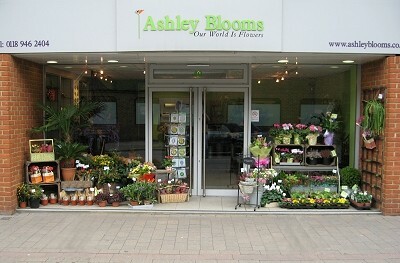 Over the years Blooming Ashley formally known as Ashley Blooms has become a well-known and trusted brand in the Reading area, and we are renowned for our quality and style. Our flowers are delivered daily, direct from Holland to ensure superb quality and optimum freshness all year round. We love to use seasonal flowers as much as possible because this is when they are at their very best. They are also better value for you, meaning you get more for your money and can afford to be more generous, more often! In our online store we have an extensive catalogue of designs for you to choose from, but if you're after something just that little bit different, our experienced florists are always on hand to assist you. Through our contacts in the industry, we are able to source special requests including plants and related items for the home and garden, so if there is anything in particular that you would like, don’t hesitate to get in touch. Whatever you’re looking for you can be sure that Blooming Ashley can provide beautiful blooms of distinction for every occasion.